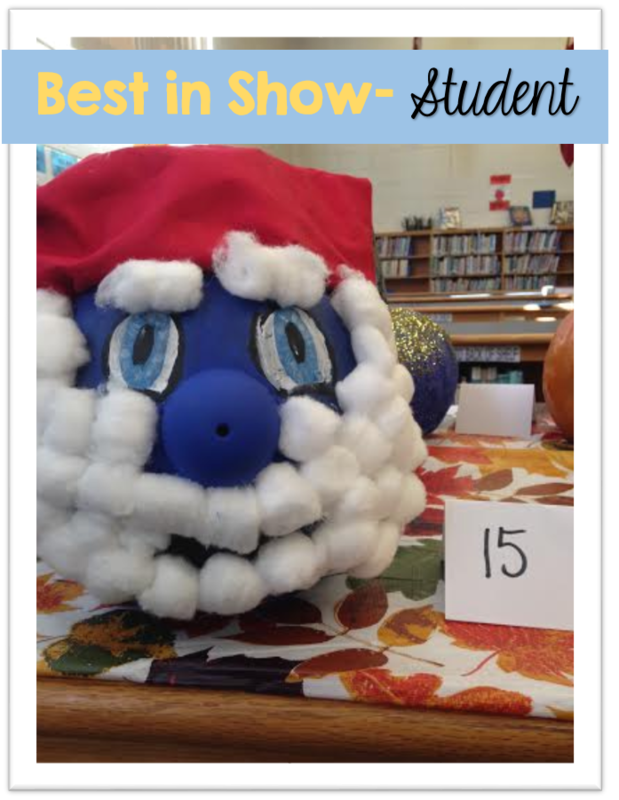 This month my school hosted its first pumpkin decorating contest. I spent many hours searching for the best way to organize the contest, so I thought I'd sum it all up in one easy package that you can save for next year! First, I worked with our VP and a few other teachers to narrow down the size and scope of the event. Originally, we thought it would be fun to have the homerooms compete, but there just wasn't enough time. We decided to open it up to our middle school (6-8) and any teacher who wanted to participate. You can see the rules and procedures in the image below. Next, I got the pumpkins donated from a local nursery. I had to call several times, but I was persistent. 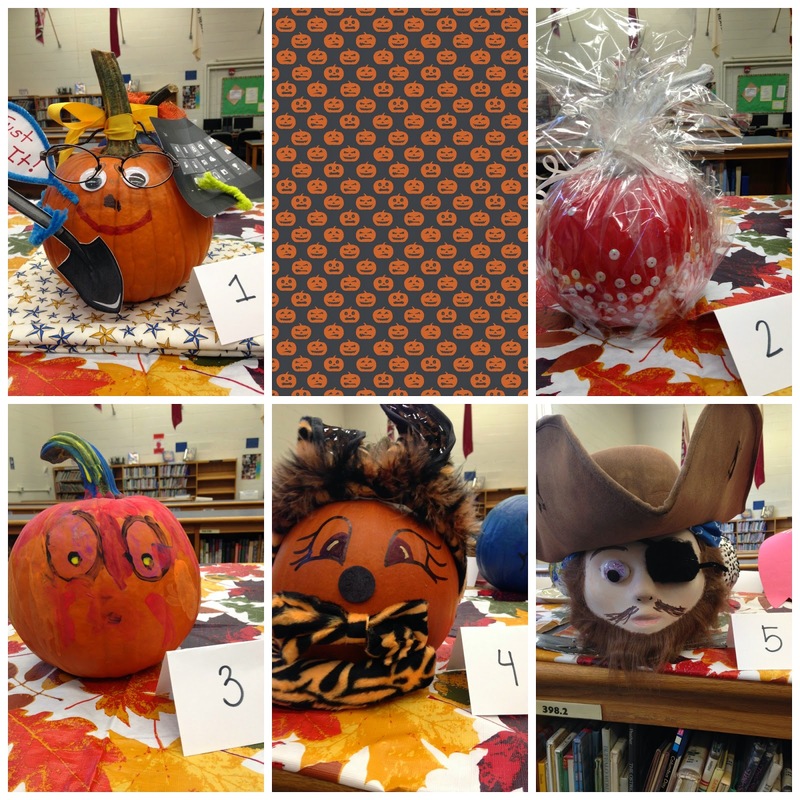 We were so fortunate to have 40 pumpkins donated! Then, I created a google survey for sign ups, and kept it very simple. We put this picture on our school website, and then announced it over the morning news. It's helpful to have your VP and/or tech staff on board with your project if you want to really promote. Students and teachers signed up using my google survey. 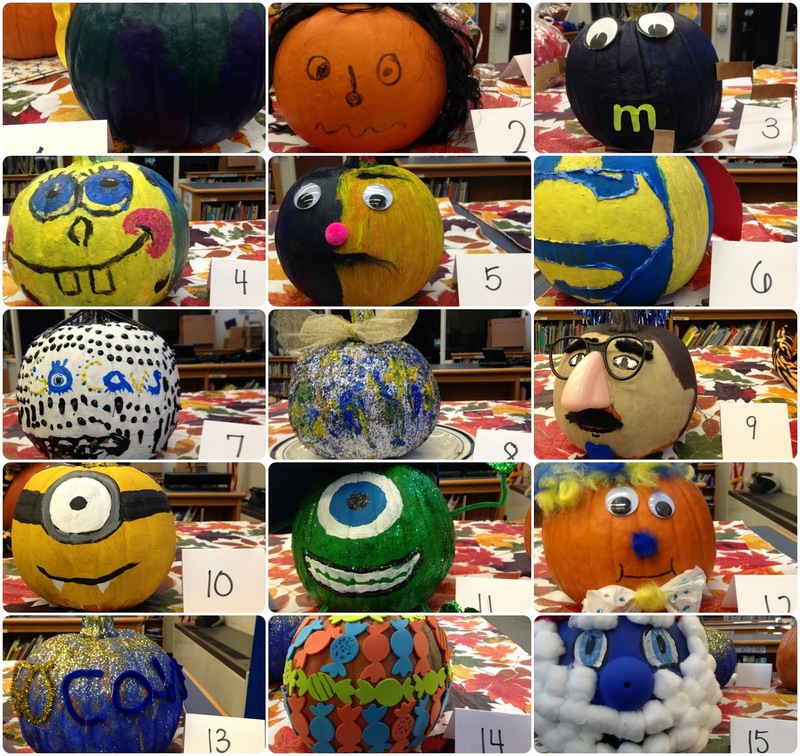 I handed out the pumpkins one Friday after school, and teams had one week to create their works of art. A week later, I collected the pumpkins in the library. This took some juggling, and I would recommend having another person help you. I made little index card tents with numbers, and wrote the initials of the team on the inside. We didn't want to show the names on the outside. I also took a picture as they were submitted, and checked their name off on my excel spreadsheet from the google survey. I tried to keep it simple so that even my low ELL's and kinder babies could vote if they wanted. We placed the link to the form on our website, and had over 200 votes in just a few days. 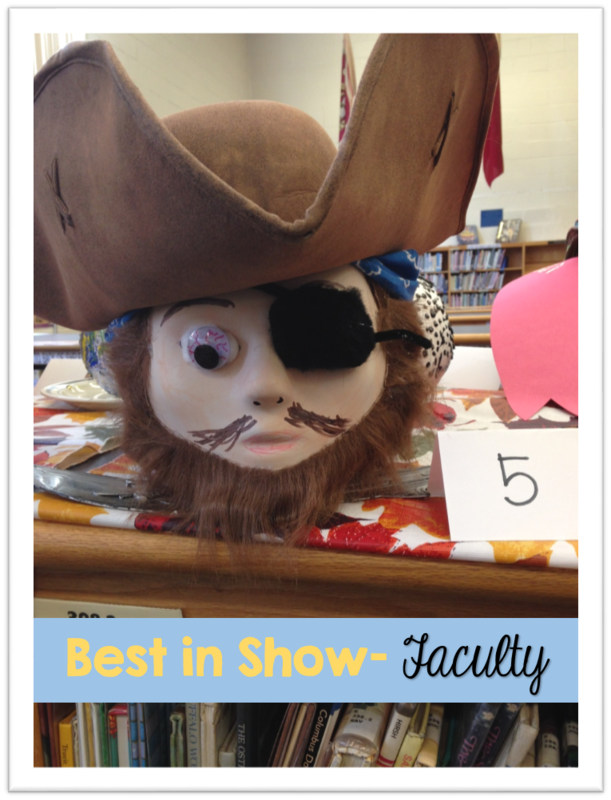 I had my VP, Secretary, and two teachers vote for their favorites in the other 4 categories. We announced the winners on our morning announcements, and you could hear the cheering three hallways away! The Parent Teacher Association generously donated movie gift cards and candy, so I presented those to the winners in their homerooms. Here's my humble candy-apple pumpkin. It didn't win, but I was pretty proud of it! Ask for your donations early. I had this bright idea two weeks before October, so it was a bit of a scramble. Have a team help you distribute and collect the pumpkins. 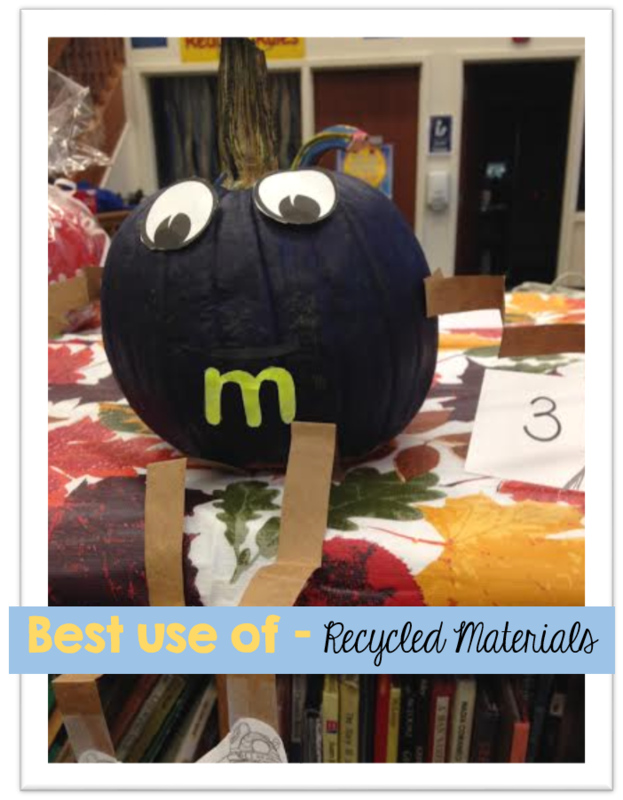 Ask your secretaries and custodians to vote on the pumpkins- really get your whole school involved. Make sure you have enough prizes for ALL the kids on the winning team. 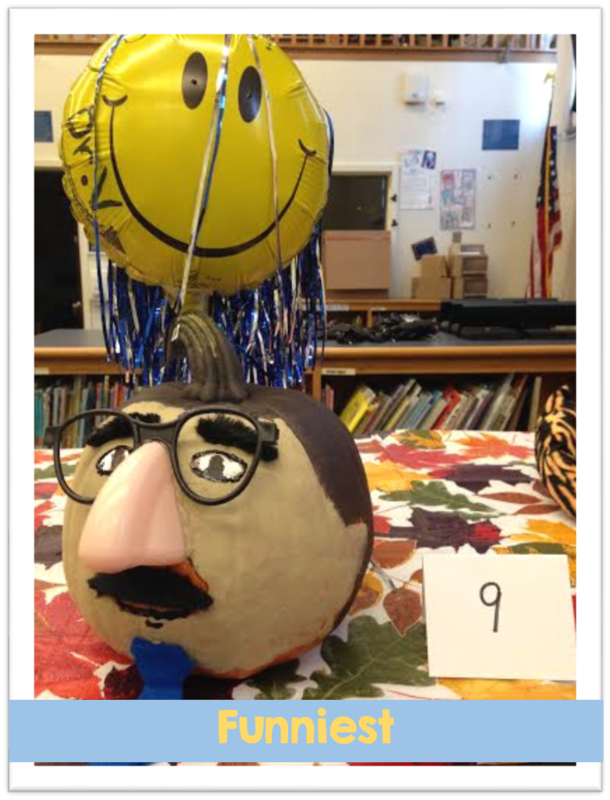 Make it curricular by having your upper math classes analyze your results- find out which pumpkin was most popular in grade 4, grade 6, etc. If you ask for more demographic data in your survey you'll have more to analyze. 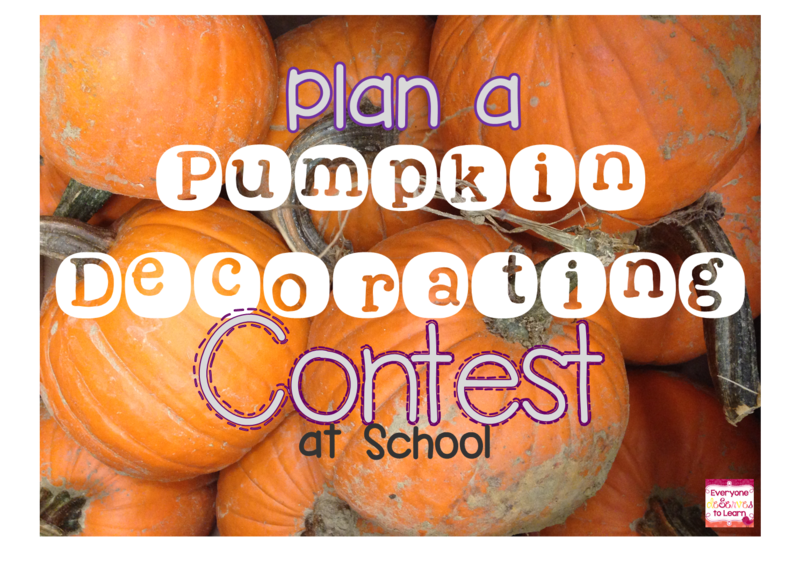 Allow your classes time to come and see the pumpkins displayed, and then vote. Pictures only show some of the story. 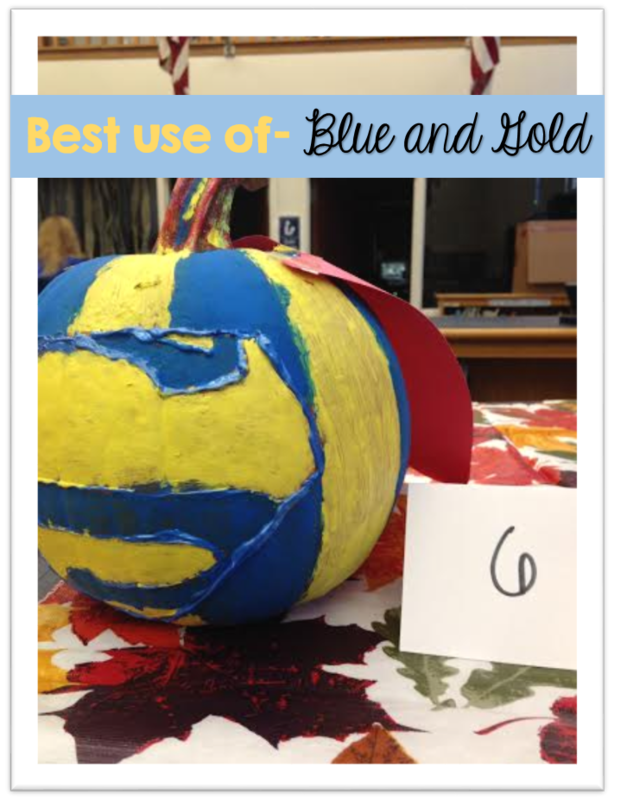 If you do it with just your class, hit some speaking and listening standards by having students present their pumpkin in an expository format. 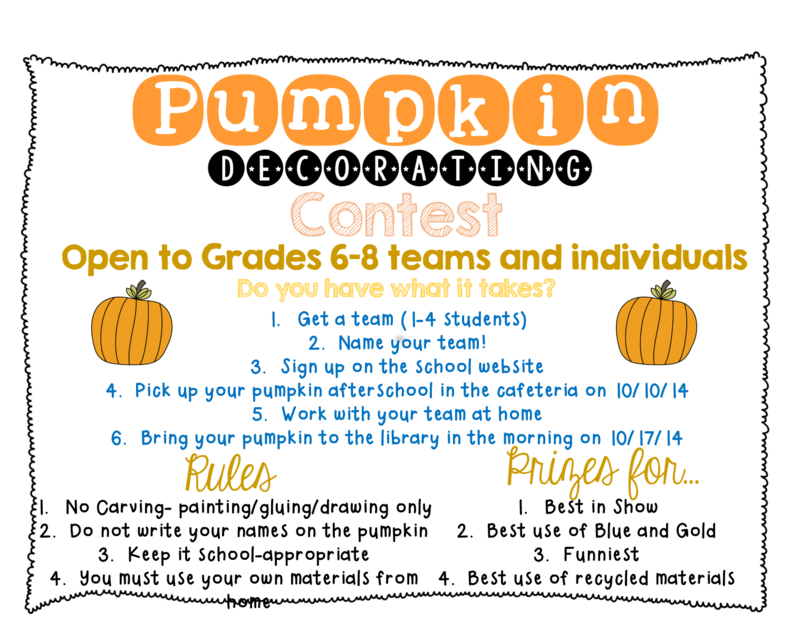 Have you organized a contest like this in your school? Any tips or tricks to add? Leave them in the comments! Today my class went a little batty. In a good way! 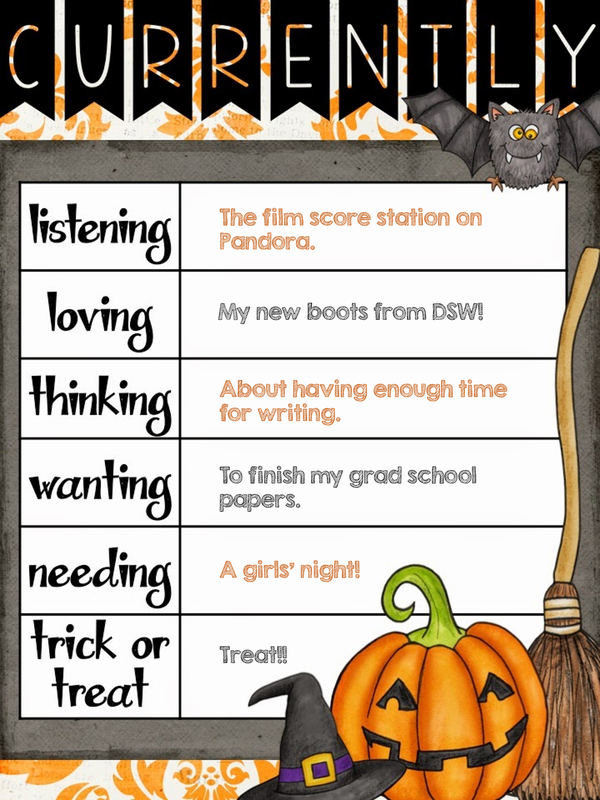 We are going to be reading lots of nonfiction about Halloween next week, so I wanted to test the waters with a subject I knew my boys would love: bats! 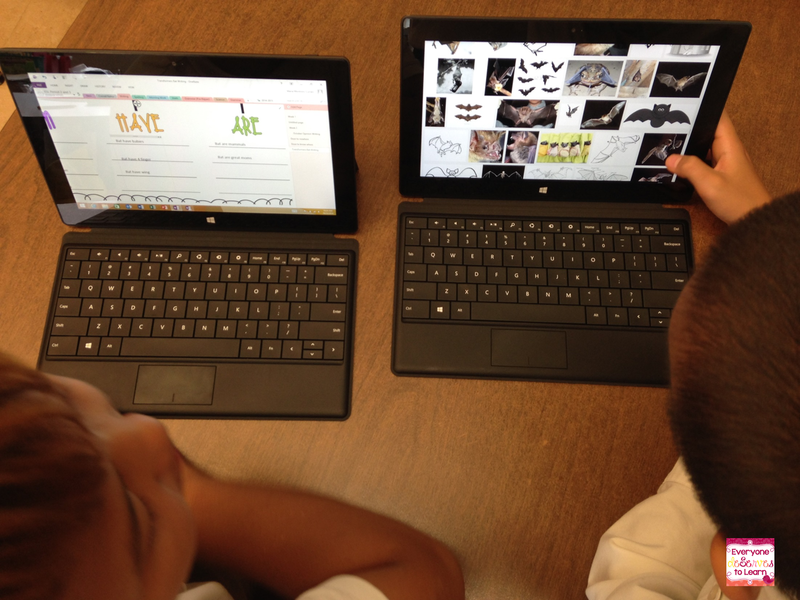 We started by telling what we knew about bats. I could have done a KWL, but I just asked orally. Then, we watched a few videos as a whole group. 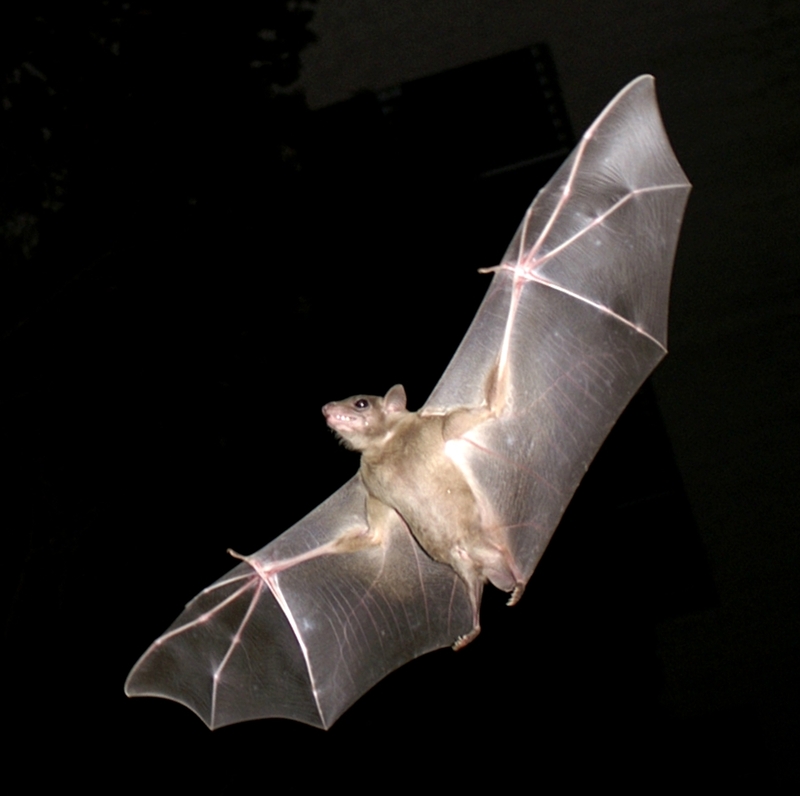 We were able to immediately discuss some truths and misconceptions about bats just in the first few minutes. After we watched this video, as well as the two suggested at the end, I broke my kids up into teams. We've recently started a new team system for grouping. In my class, I have Transformers (low proficiency) Avengers (average proficiency) and Marvel (high proficiency). Once they split up around the room, each group received a QR code to scan, with a video to watch. In my class, I tell them the path to find an assignment, and they go in and copy it into their own notebooks. It is SO easy to differentiate that way, because I can place an assignment in an individual student's notebook without anyone ever knowing it was different. After each group watched their video, they worked on a graphic organizer as a team. 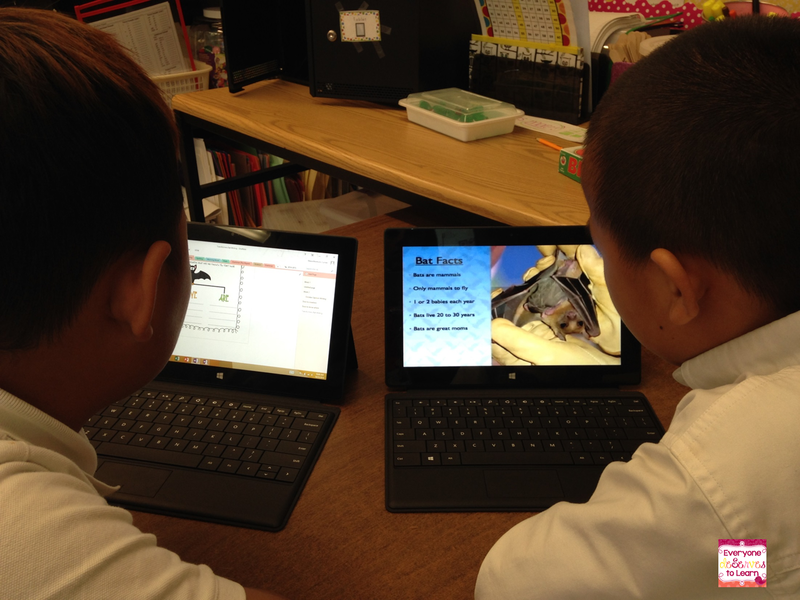 I had one student use their tablet for the video, and the other use their OneNote to fill out the graphic organizer. If you are not a 1:1 school, you can easily do this lesson by printing one page per group, and having groups rotate or share computers/iPads. Marvel and Avengers both used the same graphic organizer, although they had different videos. It is a 4-3-2-1 style organizer, which I have only used once before, but loved the format for this purpose. The boys loved it too, especially since it counted backwards. They are so much more motivated when they can see the light at the end of the tunnel! Check it out below, and then grab it here from google drive. 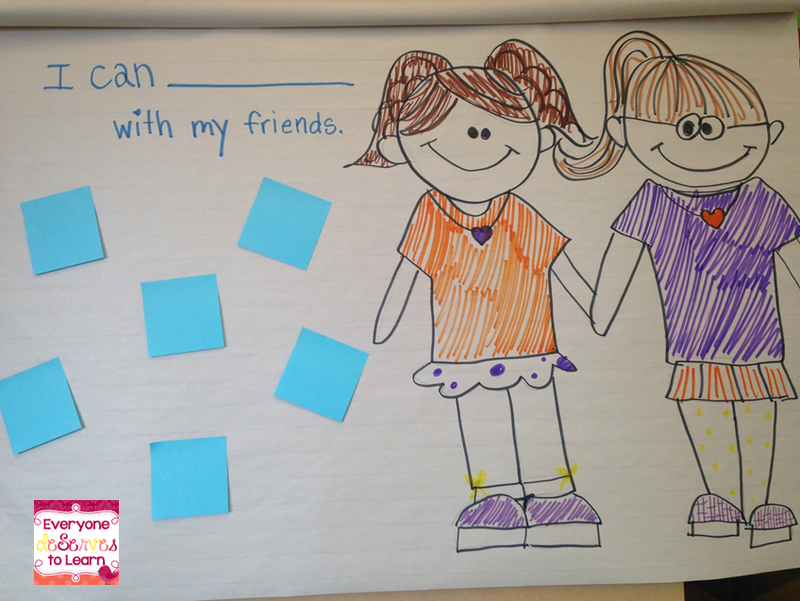 My Transformers group worked on a Can Have Are chart, and used some more visual aids to help them form their sentences. Here is the Can/Have/Are chart they're working on. Click the picture to grab it from TPT. Once we finished our graphic organizers, each team presented their findings. Since they all had remaining questions about bats, we'll spend some time tomorrow swapping and researching each other's questions. 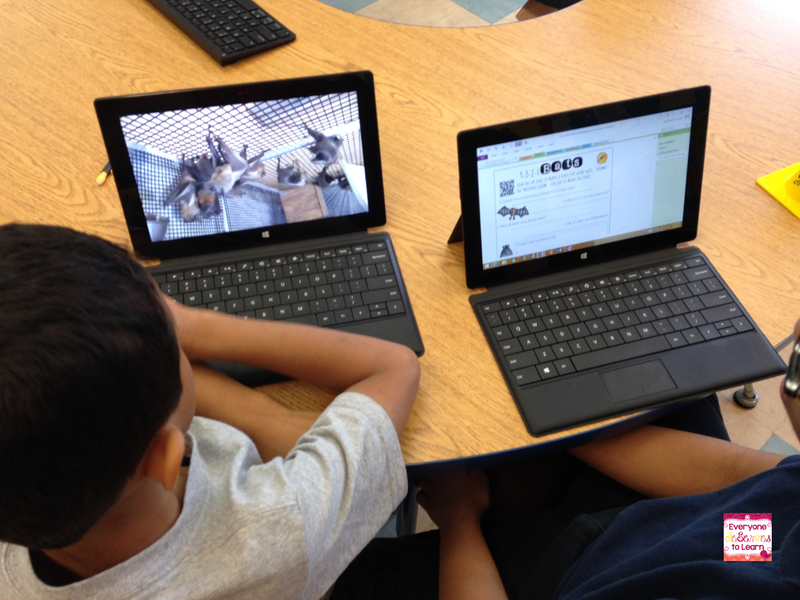 This lesson tied in so many important aspects: teamwork, technology, research and presenting. We covered reading, writing, listening, and speaking in one class period. That makes this teacher happy happy happy! 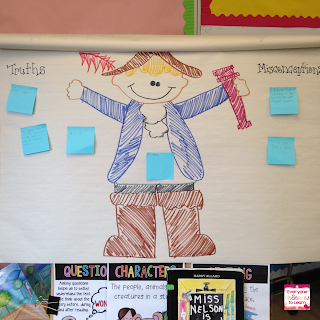 I will definitely be using the 4-3-2-1 organizer for other nonfiction topics that we come across. 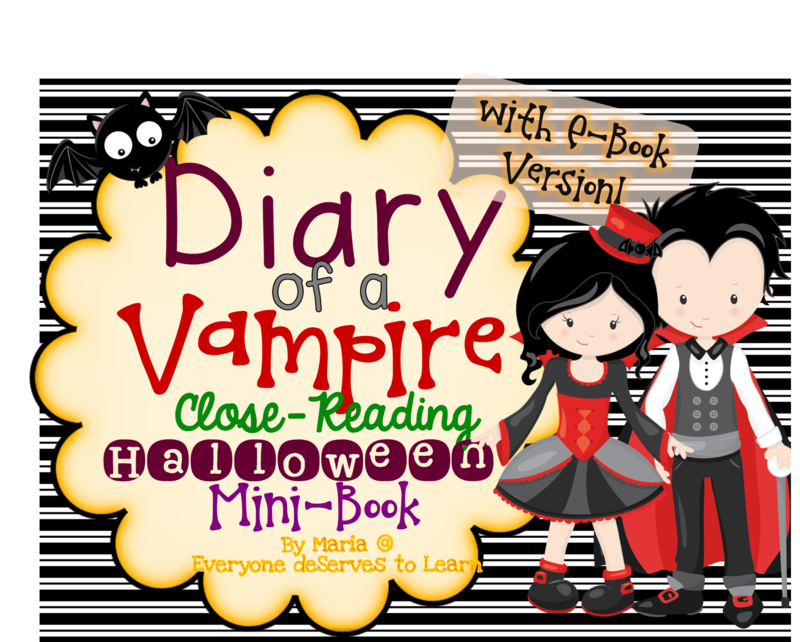 In other Halloween news, I recently wrote Diary of a Vampire! 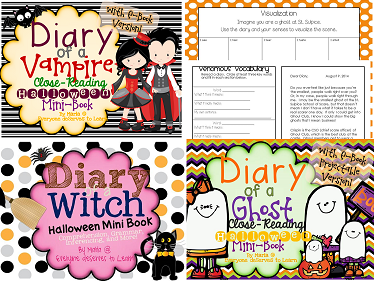 It's bundled together with my 2 other Halloween Diaries, which we will be reading next week in class. 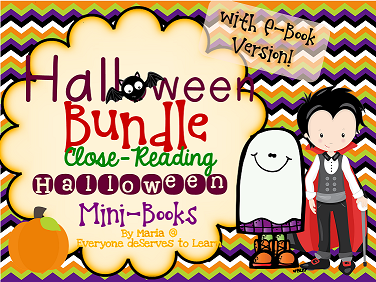 This Halloween bundle is currently 20% off, so click any picture to grab it from TPT. It's Saturday morning, a time to sleep in, savor one's coffee, take a nice walk with the dog...sounds great, right? Not for me- I'm heading off to grad class this morning. When I tell my students I have to go to school on Saturdays, they can't believe it. I also tell them I'm in 23rd grade...they love trying to figure that out! 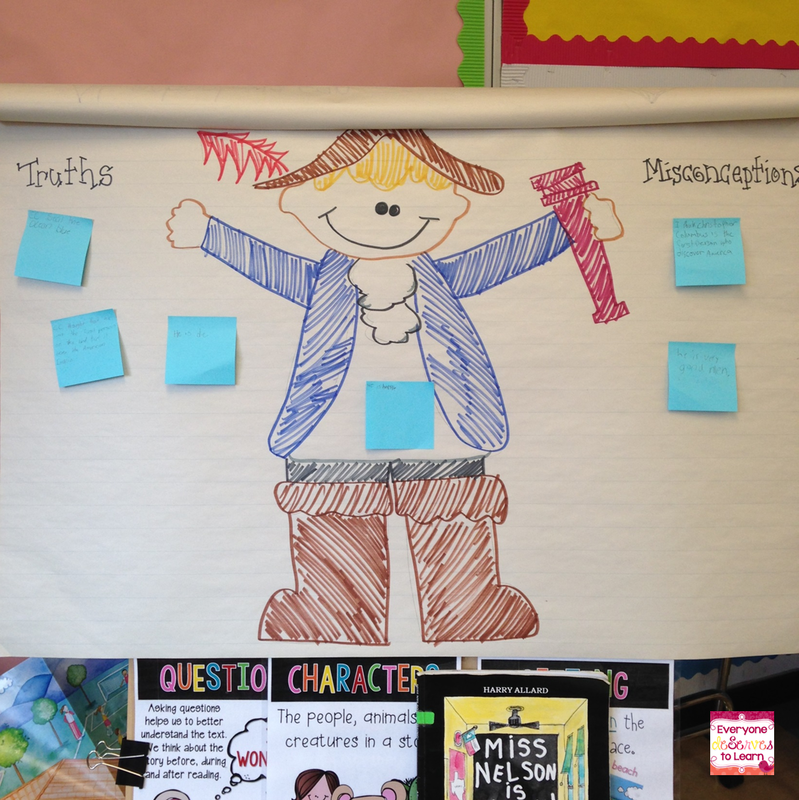 We learned about the truths and misconceptions of Christopher Columbus. First we wrote what we thought we knew, then we researched a little deeper to find out more. We also read Encounter, by Jane Yolen to practice our visualizing and imagery skills. One extra special friend is having a really hard time remembering the names of the letters. 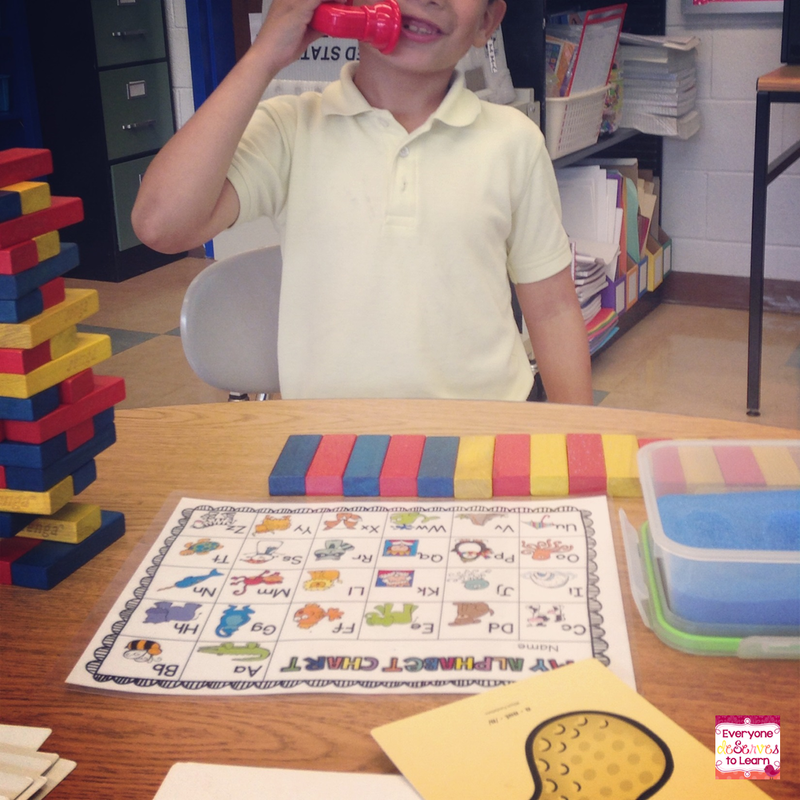 So we went back to basics with some one to one correspondance, sensory sand, whisper phones, and an incentive game. I forsee lots of Jenga in our future. Three of my boys figured out that they were all reading the same Read to Self book. They decided, completely on their own, to form their own little reading group. 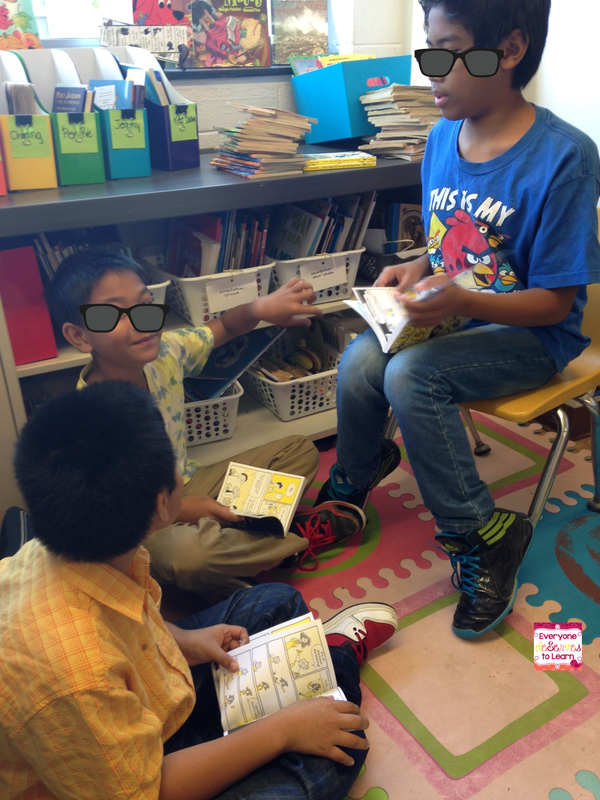 I was busy with another group, and when I looked over, they were taking turns reading and discussing. I was so proud of them. Last night my husband and I went for dinner to one of our favorite places in town. We've been there maybe 5 or 6 times in the last year. 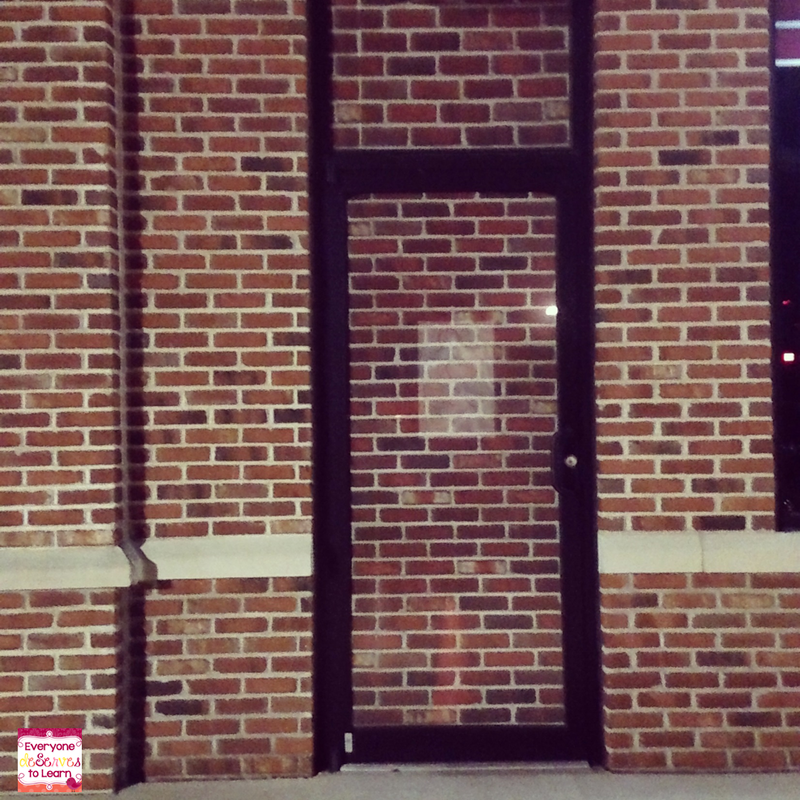 As we drove up, I noticed this door to nowhere next to the adjacent gym. I am positive I had never seen it before. I grabbed my phone to take a picture, thinking, "What a great writing prompt!" Then I couldn't focus on dinner (and it was lobster mac and cheese- my favorite), because I was lesson planning in my head. I hope you had a great week! Link up with Doodlebugs to share your five! There's really nothing better than a good fall weekend. Street fairs, sweaters, boots, and football...what more could you ask for? My husband is a huge buffalo chicken fan (is yours?) and made a special request for the Giants/Eagles game this past weekend. We had plans to go to our neighbors, so I needed something that would carry well and last through the night. 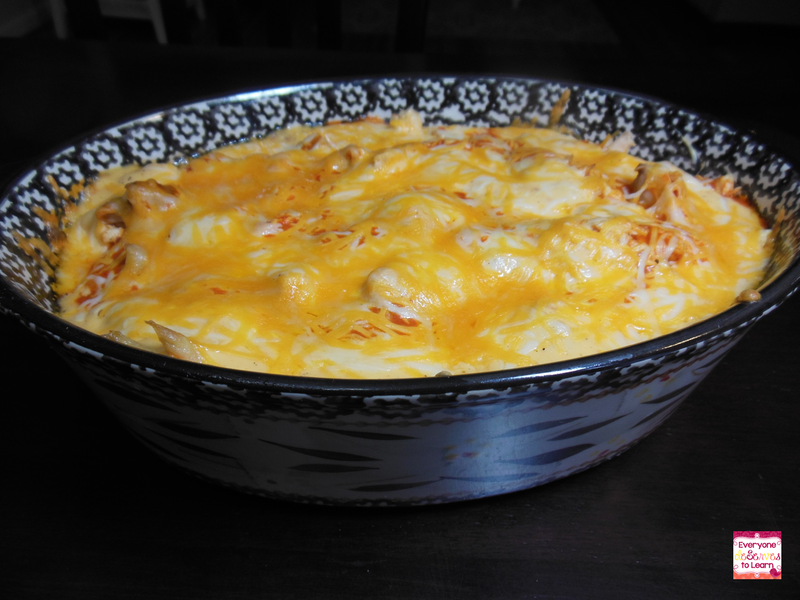 Believe it or not, I'd never made buffalo chicken dip before this. I've made wings a few times, but nothing compares to the local places around us. I'm pretty glad I tried this recipe, though, because it was a huge hit! Preheat oven to 350 degrees. Layer half the cream cheese on the bottom of a 1 qt baking dish. 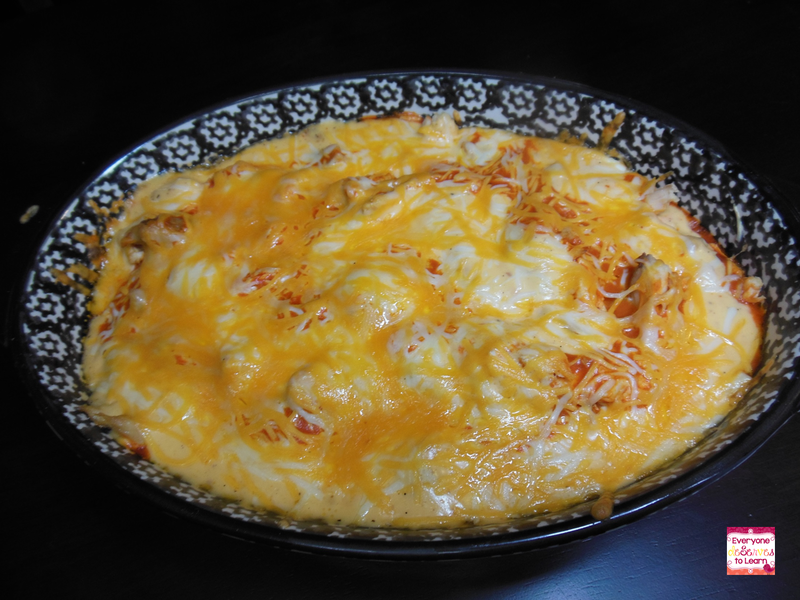 Layer in half the chicken, wing sauce, ranch, and cheese. Repeat process. Bake for 20-25 minutes, until cheese is melted and sauce is bubbly. Serve with chips or baguette slices. I was craving something sweet, so I whipped up my favorite chocolate-pumpkin cake. Instead of the mascarpone topping seen in this recipe, I added Salted Caramel Sauce from Trader Joe's. When the cake came out of the oven, I simply poked holes throughout (like you would for Tres Leches cake) and drizzled the sauce over. When it cooled, I flipped it onto a plate (not a fancy one...just easy to carry) and drizzled more sauce over the top. 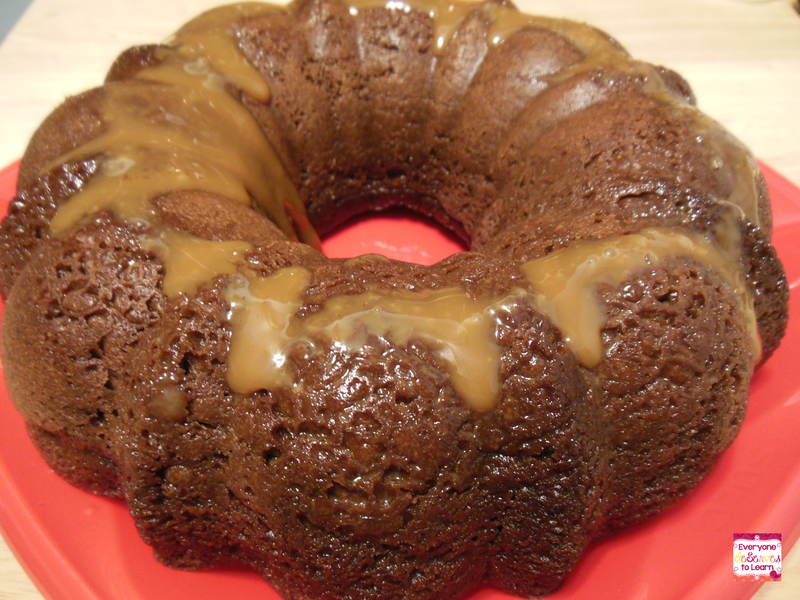 The cake absorbed the sauce, so after about 10 minutes you couldn't even tell there was a glaze on top. This cake is the lightest, airiest chocolate cake I've ever had, and it's because of the pumpkin. I may need to make another one soon! What's your go-to dish for football parties? Here's a super fun and easy craft! Fold a piece of paper in half. Starting from the folded/creased side, write your name. Without unfolding, cut around your name. Don't cut on the crease! When you open it, you'll have a mirror image of what you've written. 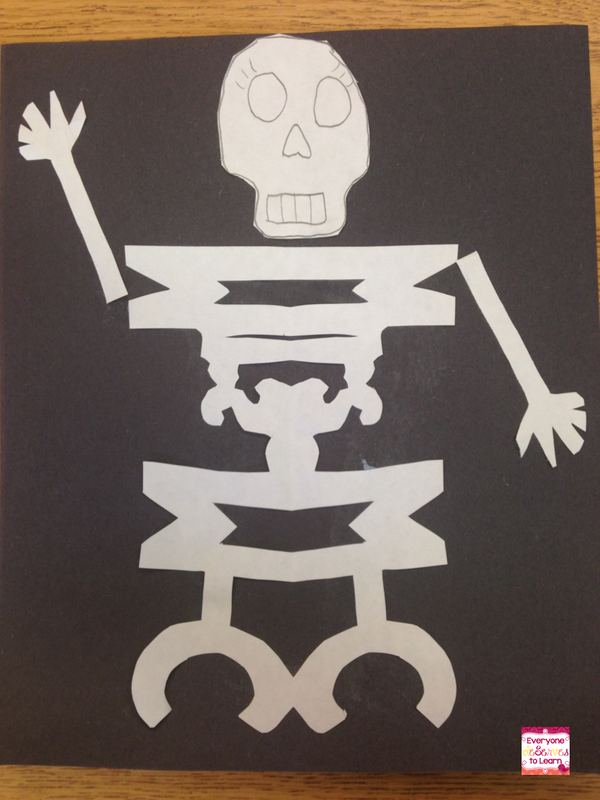 Then add a head, arms, and voila! 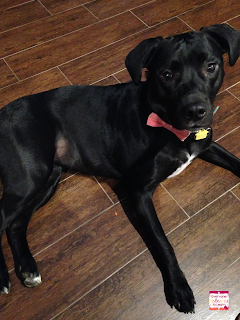 In funny puppy news, Miss Lacey chewed the following this week; her Daddy's iPhone. This brings the list of Super-Storm Lacey damaged items to the following: 1 iPhone, 3 of Mommy's shoes, 2 of Daddy's shoes, a remote control, 1 coffee table leg, the baby gate, and countless hair ties and bobby pins. When she's good she's good, but when she's bad she's awful! 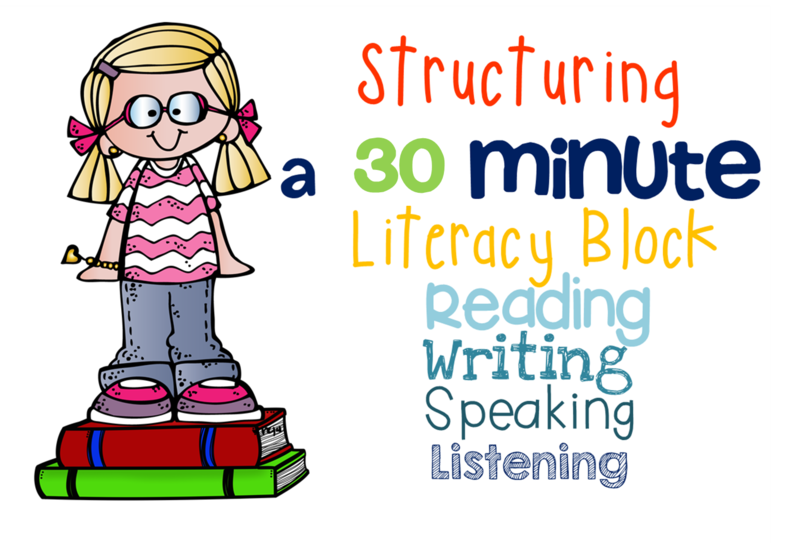 If you missed my post on structuring a 90 minute literacy block, click here to read it. 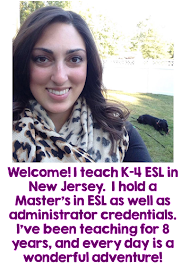 Today I'm going to be giving an overview of my 35 minute first grade ELL class. This class varies widely in proficiency, as does my 4th/5th grade block. I have students who are still in their silent period, and students who are near-native speakers. Find out how I reach them all! No, that's not me in the picture. Our VP stopped by one day this week so I had him help me out during morning meeting. We meet on the rug every day to share what we did last night/last weekend. Towards the middle of the year we will move to sharing the weather and writing what we did. There are questions to ask on the poster, but I'm not exactly a Teacher's Guide kind of girl- I'm much better at making up my own questions based on student proficiency. 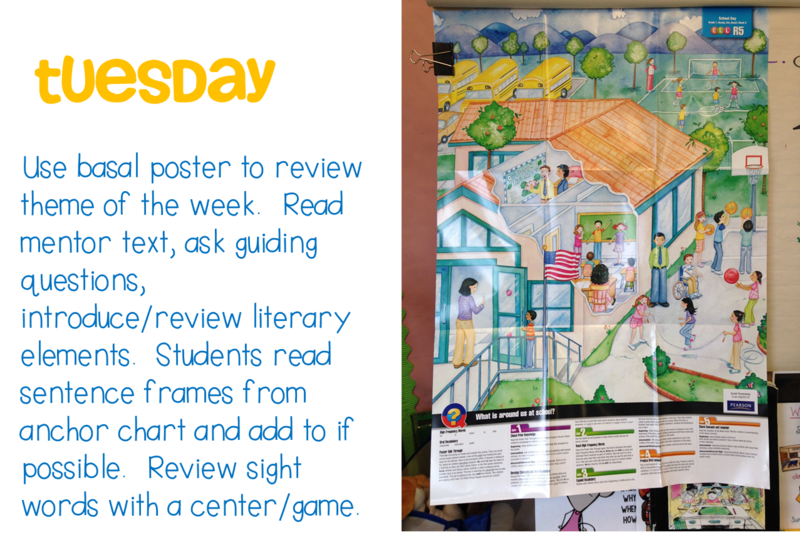 I use the poster mostly to keep in line with what the mainstream classroom teachers are using. 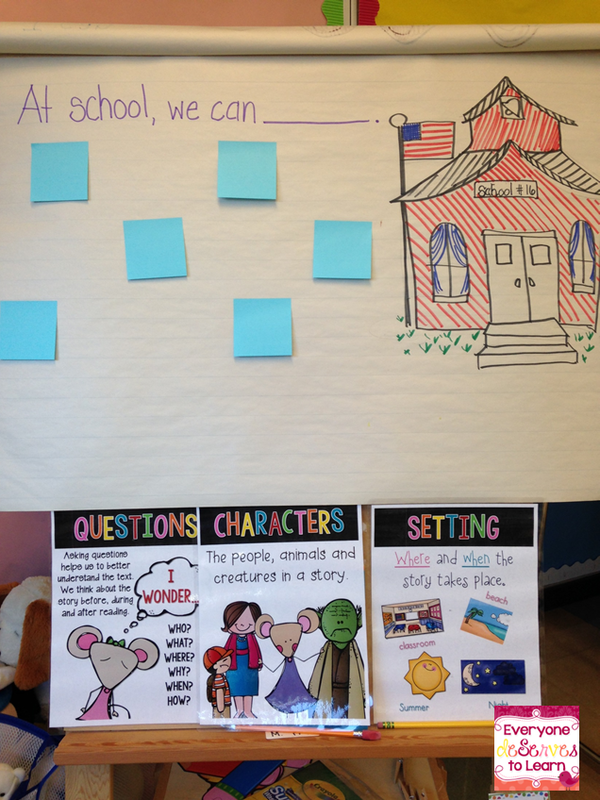 Below is an example of an anchor chart we worked on for our At School unit. I have been writing the students' answers to the sentence frame for them but soon I'll be letting them write their own. I choose a mentor text for the week based on the theme. Our themes have been family, pets, neighborhood, and school (so far). I may choose books I know the students have already read, which helps with bridging the vocabulary gap, or I may choose new books or non-fiction books. 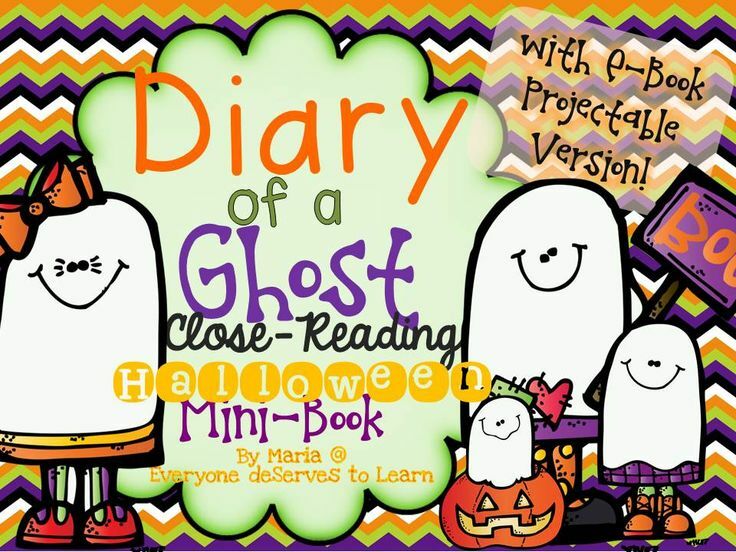 The leveled readers are typically non-fiction, so I like to liven up our reading with a good children's lit book. There are four High Frequency Words from the mainstream classroom, and usually two or three from our leveled reader. 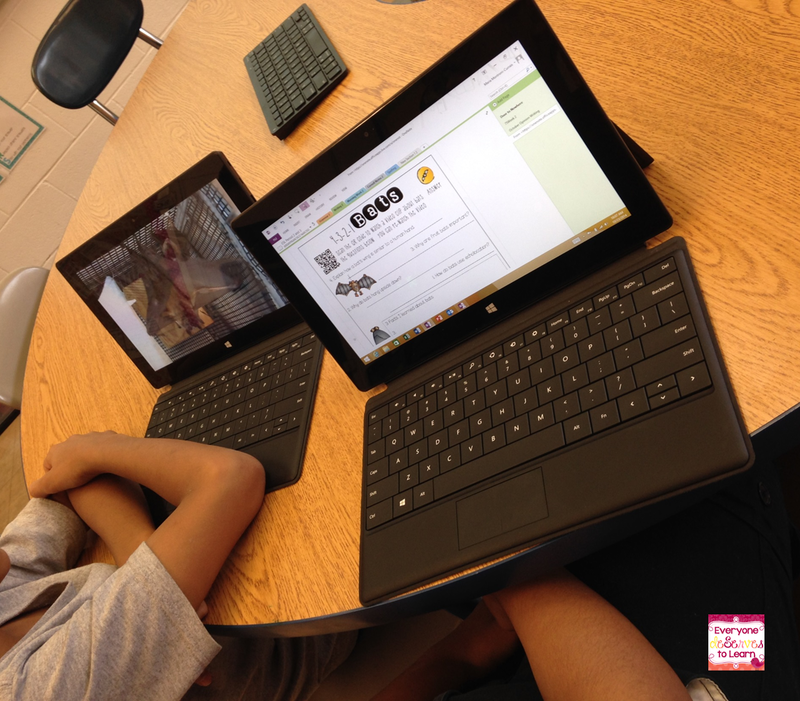 For partner/group games, I use Reagan Tunstall's Sight Word Stick Centers, or abcya.com on the tablets. For whole group games, I use the pocket chart. One of their favorites is "Say it like a..." and they say their word like a pirate, or a zombie or a grandpa. 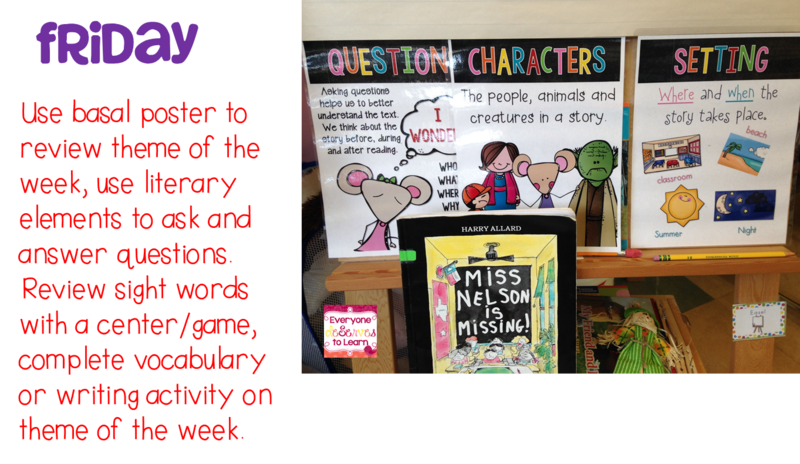 The literary elements posters come from Fabulous in First's Chrysanthemum pack which is so wonderful- I love that I can use the activities with almost any book. On Fridays I will put up a sentence frame with word bank for students to write and/or draw about, or we will complete a vocabulary activity from the basal. 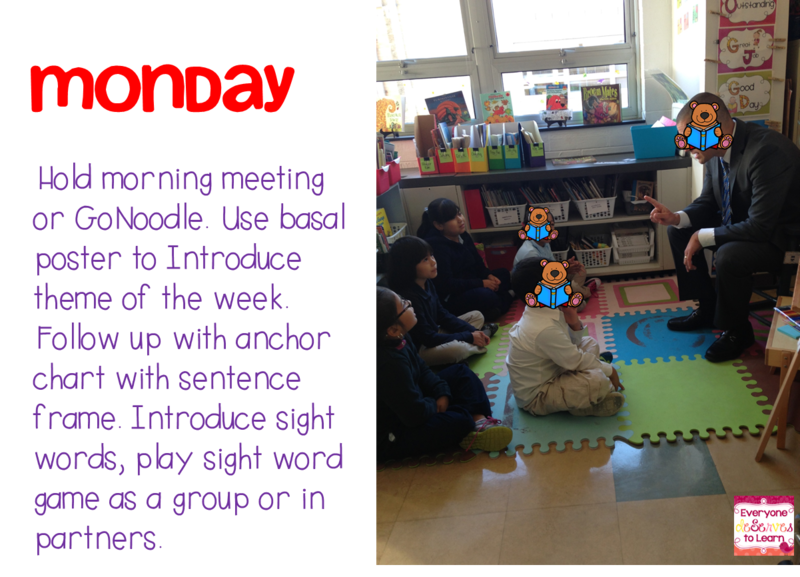 I really don't love using the basal so much, but I have these students first period, then they go right back to their first grade teacher who is using the basal. So it helps to give them a little preview/background about what they'll be studying. There are weeks when I'll deviate from the basal (my favorite weeks!) and use a unit from my store or someone else's. I typically do that around holidays or when I want to do a reader's theater. 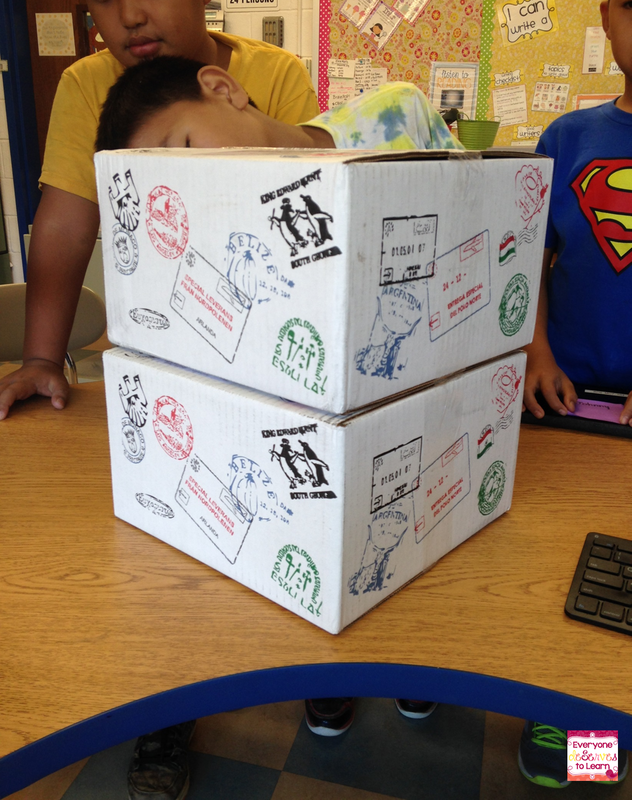 I hope you enjoyed a glimpse into my classroom! How do you structure your reading block? Leave me a note in the comments! Bring on the boots, pumpkins, and scarves...it's time for October! Notice how I left out Halloween? I do not love Halloween, it's safe to say I don't even like it, but I do like candy. So there's that. And I do love Currently with Farley! 1. I have different "moods" of stations on Pandora. When I need to just get it done, I put on Zac Brown Band. When I need to chill out, I put on yoga, film scores, or classical. When I'm ready to party, I have a few to choose from. When I'm with my students, we listen to Disney or KidzBop. Pandora gets me through the day. 2. I always have such a hard time finding boots due to my beautiful calves. I guess they really are normal calves, actually, but for whatever reason boot makers like to make boots for women whose legs look like toothpicks. Anyway, I found boots and I can't wait to wear them! 3. 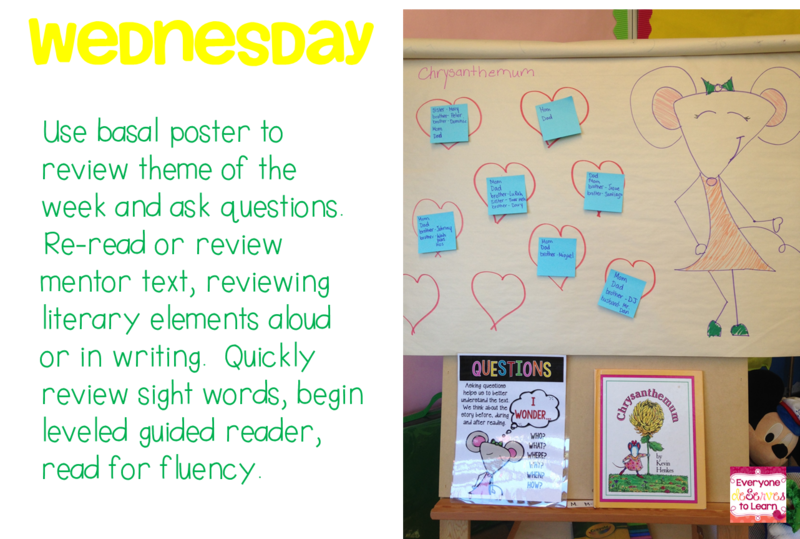 I recently blogged about my structure for my 4th/5th combined ELA class. 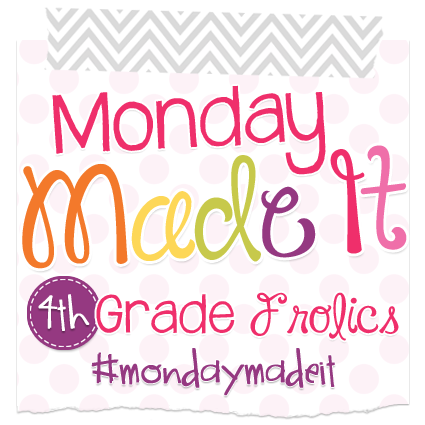 We've got morning work, GoNoodle, reading groups, spelling, and grammar going on. We do not, however, have writing. I have to figure out a way to get the writing in and I've realized most of my students need Empire State level scaffolding, so independence is a ways off. 4. I'll be done in December! Yay! Just a few more papers to write. Which I was supposed to work on last night. And the week before that. And the WHOLE summer before that. Ahem. 5. Movies and dinner sound like a great way to procrastinate my grad school papers...anyone around this weekend? 6. Treat!!! Like I mentioned, I love candy but I don't love Halloween. I mean, I can put on a costume for our little parade at school, but no way no how am I going to Party City from Labor Day to Thanksgiving. Too many scary things. 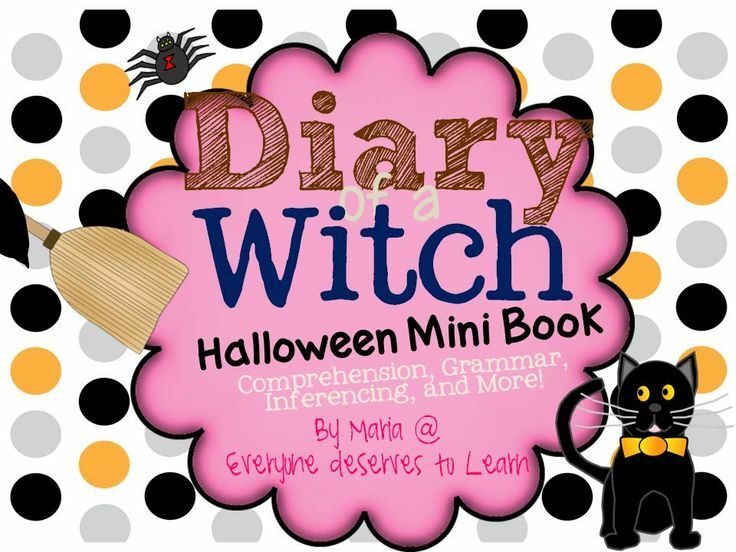 So instead of a trick, I'm going to put both my Halloween Mini Books on sale tonight- there might even be a freebie. Make sure you're following me on Facebook to find out when it is!